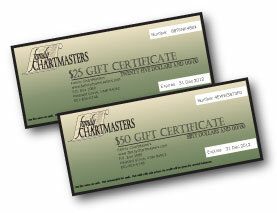 Announcing our Gift Certificate Flash Sale. The gift certificates are a .pdf that comes immediately to your email that you can then send to your friends electronically or print to give. They come in $25 and $50 denominations. Our gallery of charts and other decorative elements we can incorporate is at: https://familychartmasters.com/embellishments.html#gallery. Other charts we've designed can be seen on our blog at http://thechartchick.blogspot.com/search/label/charts. Basically anything you can dream up and describe to us, we can create for you. 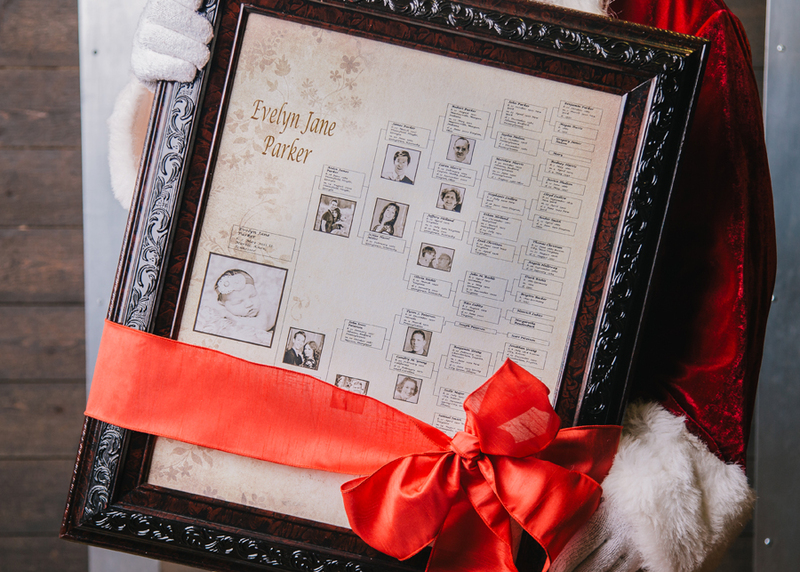 Second, we have our Working Chart option where we can print a simple ancestor pedigree, or a descendant chart. We print the chart as it comes out of the data with no editing, no title, no border, no decorative features. These charts are on 20 lb. standard bond paper, non-archival ink and paper. This type of chart is priced by the foot, so pricing depends on how big the family plots out. Recipients can see options and sample pricing at https://familychartmasters.com/php/workingcharts.php but if they don't see what you are looking for there, just let us know. We have lots of options for working charts. Pricing for all of our charts can be found at https://familychartmasters.com/fcmpricing.html. Generally around $100-$150 will cover the cost of a decorative chart. Working charts are $30 and up depending on the size of the chart. Both of these options start by sending the family history information for a free consultation at https://familychartmasters.com/consult.html. We're happy to look at the information and send back some ideas for sizes and prices. With all of the charts we design, additional copies of the exact chart are 1/2 off. We ship USPS Priority Mail and Shipping for 1-3 charts in the USA is an additional $11.95. We'll take good care of your loved ones with our great customer service. We're looking forward to making you look good. Sale valid through December 25, 2015.